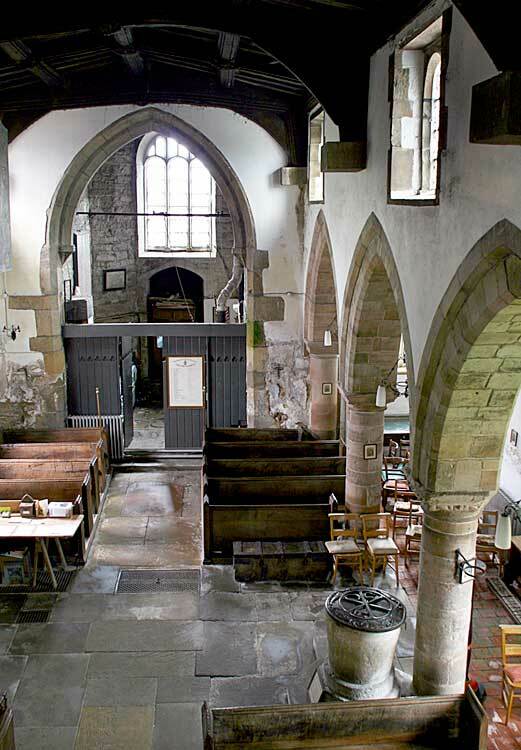 The building comprises a nave with north aisle and south transept, chancel, and western tower. There are no porches. The south wall comprises mainly ashlar blocks but with dressed rubble stone at lower level towards the west. There is evidence for a porch, or its intended construction, to the west of the south doorway in the form of six key slots. 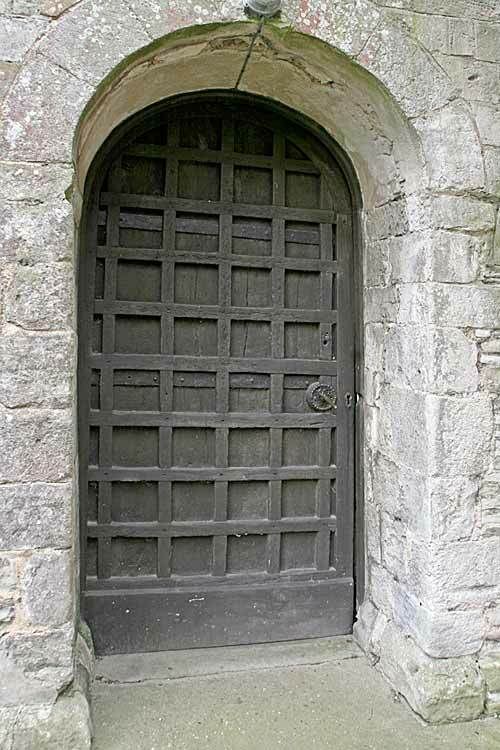 The south doorway is 12th century, a simple round-headed opening without ornament; the south door appears to be late medieval with lattice work on vertical planks. The north and south clerestory both date from the 15th century. 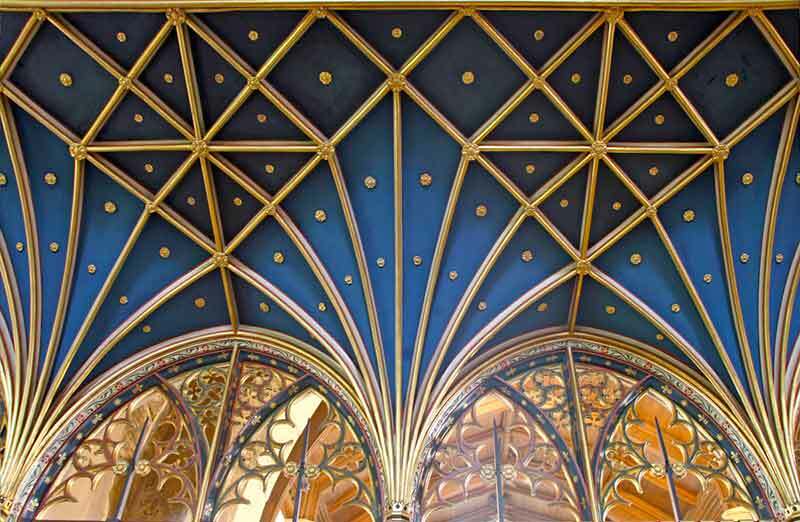 The roof is a restored 15th century structure with moulded purlins and tie beams with floral bosses. 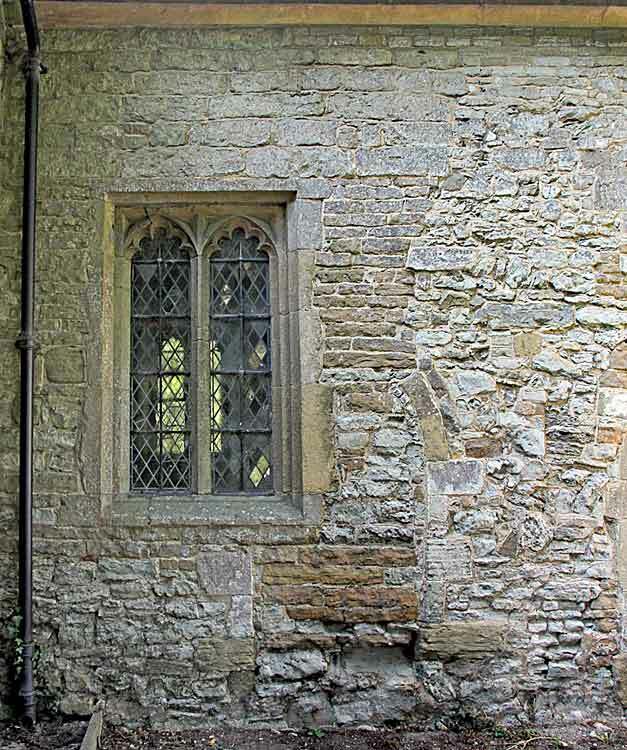 This section of the building is constructed of coursed rubble with restored 13th and 14th century windows. A south doorway appears to have been remade in the 19th century and sits awkwardly right in the north-west angle of the west wall. 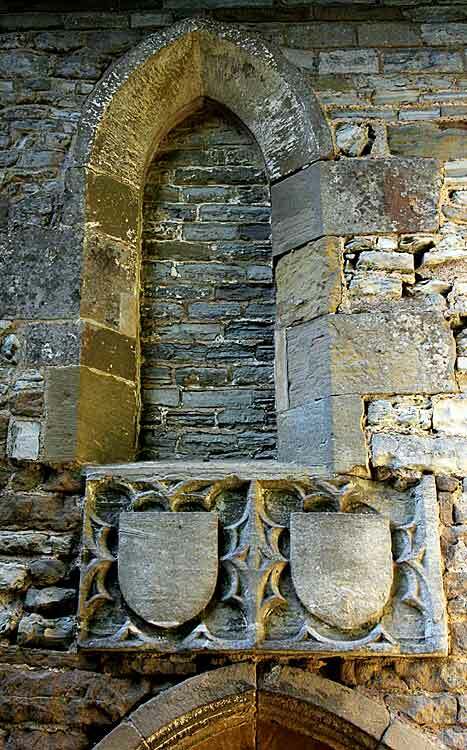 There is also a 14th century piscina and a cove and roll moulded semi-circular tomb recess in the south wall, and the south window contains fragments of 14th century glass. The chancel arch is a double-chamfered 14th century arch. 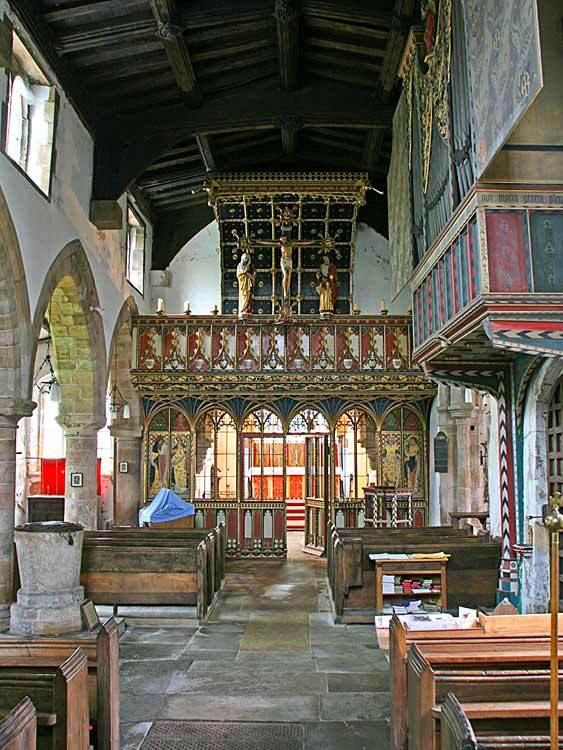 There are windows which date from the 14th to the 16th centuries, a restored 14th century traceried, ogee-headed aumbry, and a 13th century chamfered pointed piscina. The exterior south wall of the chancel is archaeologically very complex at its western end, showing multiple phases of building, a blocked doorway possibly of 13th century date, inserted windows, shields, and a restored doorway of 14th century date. Construction is mainly of coursed rubblework with some random rubble and areas of better dressed rubble stone; dating is likely to be from the 13th to the 16th century. The tower arch is of the 13th century, double chamfered and rebated. Construction is of coursed rubble stone on the interior and dressed ashlar on the exterior. The main architectural style belongs to the 15th century and probably represents a major rebuilding at this period with the exception of the lower east wall. 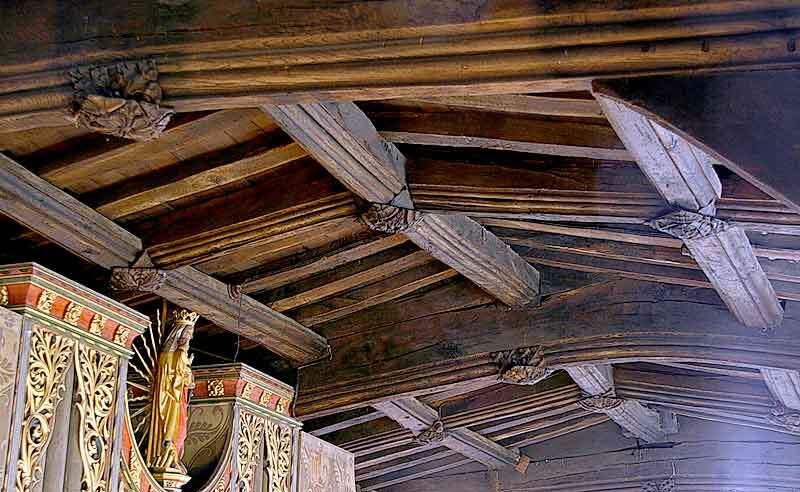 The main roof may contain 15th century timbers. 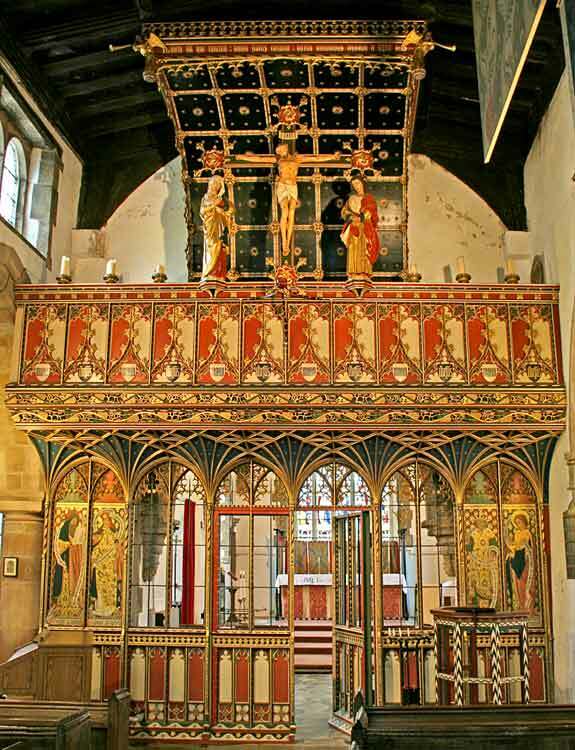 The Rood screen, loft, and stair are a major addition to the interior by Sir Ninian Comper of c.1896. The screen has traceried panels with six more above, the outer pair with figurative paintings. Higher still there is a canopy and Rood loft with further carvings. 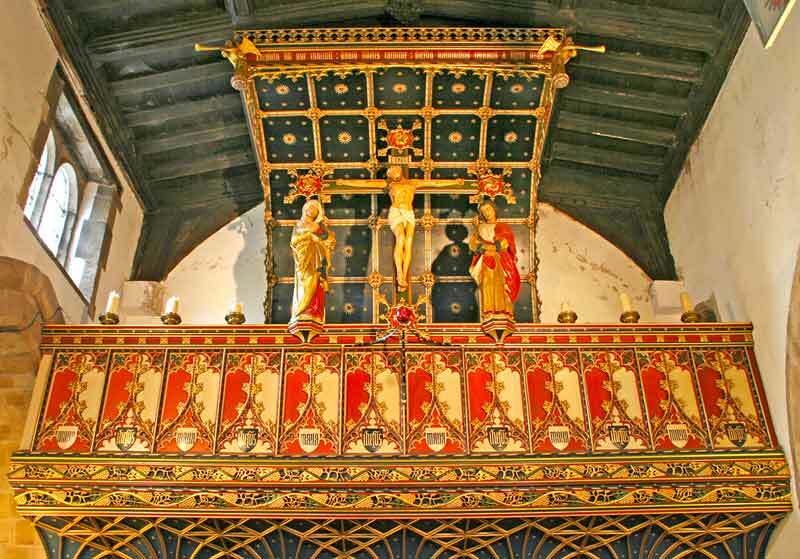 At the top is a curved overhanging panelled canopy with text, cresting, and angel bosses at the corners. 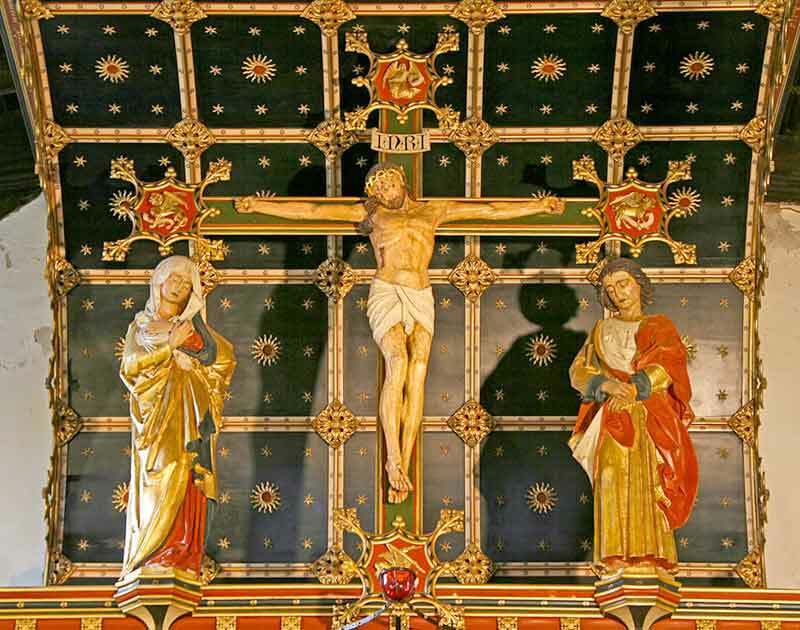 The rood screen was restored by the art conservator Michelle Pepper in 2004. Low-pitched with moulded purlins and tie beams with floral bosses and large square corbels carrying straight and curved brackets. Probably mainly C15th. 1897 One heavy N-S tie beam with smaller ties, beams, and rafters. Newer planking above. 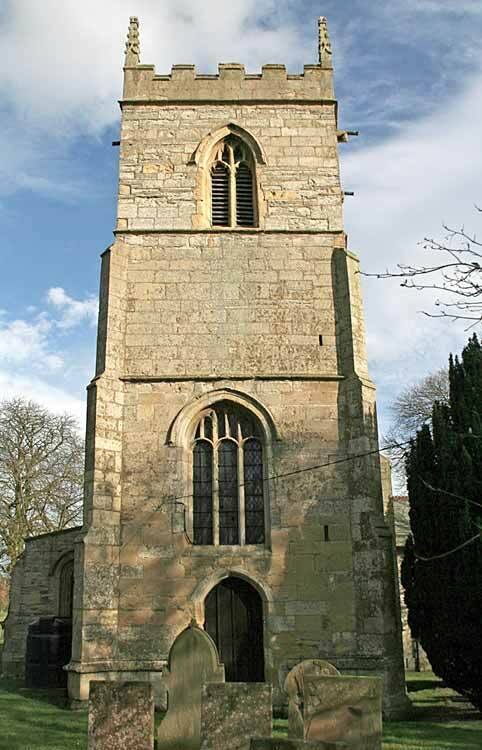 The main structure may be C15th. Other timbers Floor of 1st floor appears to have planking pre-dating the C19th frame above. A composite wooden and cast-iron frame Elphick type 'Z', Pickford Group 7.A.a all of 1893 by Taylors of Loughborough. Scheduled for preservation Grade 4. Plaster covering & date Plastered and painted. Plastered and painted. No plaster, open stonework. Potential for wall paintings Some potential; not investigated. Probably all c.1897; ?stencil work possible. None. No known archaeological excavation has been undertaken at this church. The fabric has clear dating from the C12th to the C19th with the majority of the church apparently dating from the C12th - C15th with some C16th modifications. The church was restored around 1896-7. The churchyard is irregular in shape; to the north and west are straight boundaries with the adjoining properties, but to the east and south the boundaries follow a curving line along the road. The church is positioned towards the south with burials on all sides. To the north-west is a motte-and-bailey castle probably of C11th date and it is entirely possible that the churchyard occupies part of the outer bailey of this castle. The castle is Scheduled Ancient Monument ref: 322577. In addition there is a stone churchyard cross consisting of shaft and base standing on a plinth of two steps, with date 1692 inscribed on the base and with the shaft capped by a sundial base; Scheduled Ancient Monument ref: 322607. The overall potential for the survival of below-ground archaeology in the churchyard is considered to be HIGH-VERY HIGH comprising burials, medieval construction evidence, some evidence of the 1896-7 restoration, paths, other landscaping, and potentially material relating to the adjacent motte-and-bailey castle. Below all the present interior floors of the church it is considered to be HIGH-VERY HIGH comprising medieval-C19th stratigraphy with post-medieval burials. 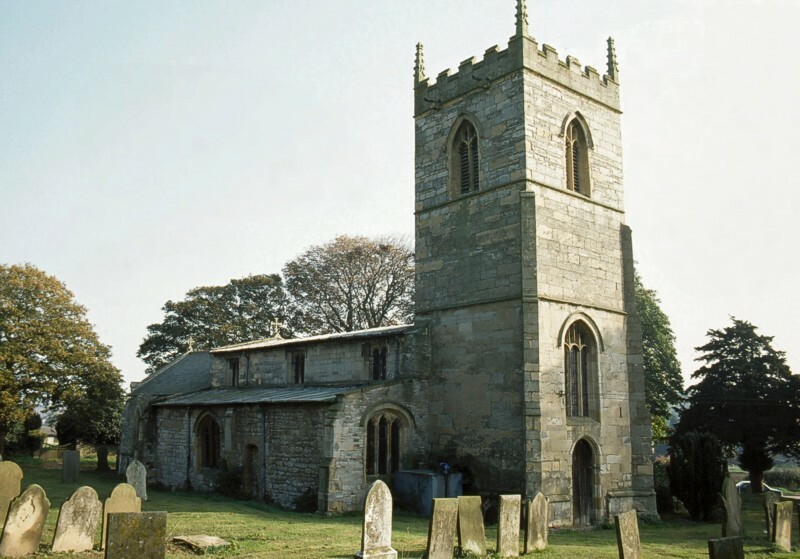 The archaeology of the upstanding fabric throughout is largely medieval and its archaeological potential is HIGH-VERY HIGH; features and repairs are evident in the exterior walls and the south wall of the chancel is particularly complex showing multiphase building. 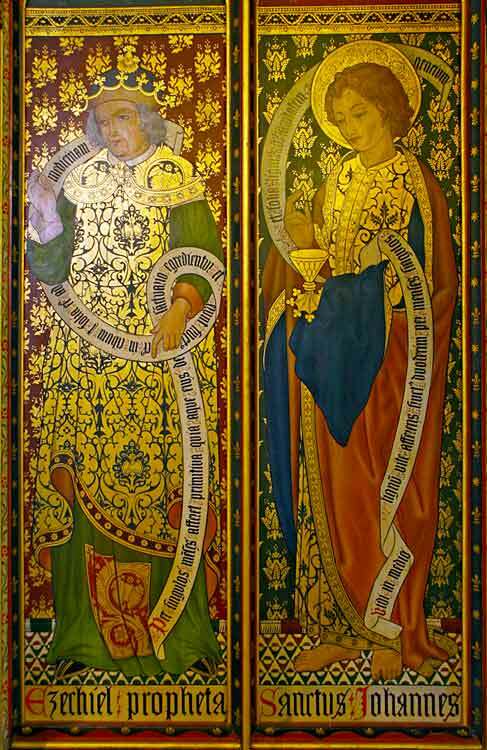 The C19th Comper works are archaeologically important in their own right. Exterior: Burial numbers expected to be average, with later burials to the west and north. Perhaps castle-related material present. Interior:Stratigraphy throughout is likely to be medieval, and with later layers and some C19th disturbance. In the body of the church the stratigraphy may be punctuated by medieval and post-medieval burials.